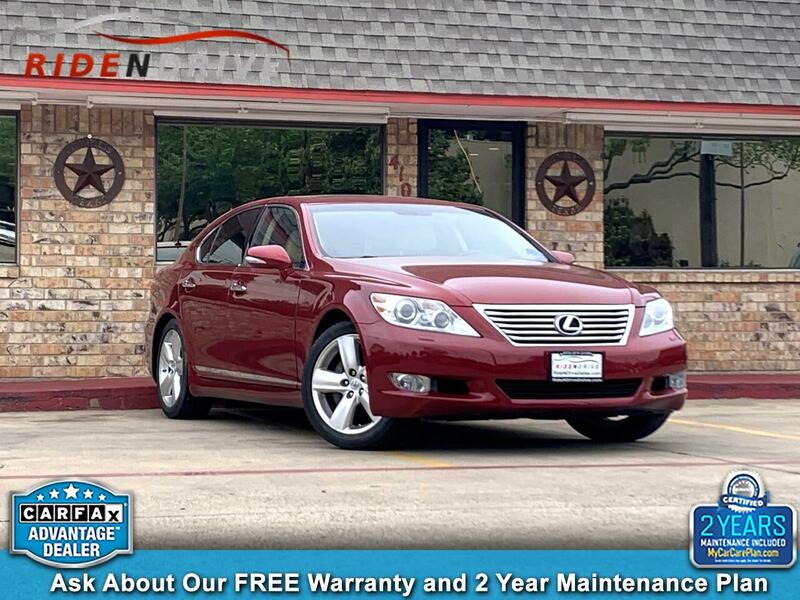 2011 LEXUS LS 460. V8 4.6 LITER DOHC VVT-IE. 8 SPEED AUTOMATIC TRANSMISSION. CLEAN CARFAX. 2 OWNERS. LUXURY PKG. NAVI. SUNROOF. HEATED & COOLED SEATS. HEATED STEERING WHEEL. BACK UP CAMERA WITH PARKING SENSORS. SELF PARKING TECHNOLOGY. BLUETOOTH/AUX CONNECTIVITY. POWER REAR SHADES. 20 INCH ALLOY WHEELS. KEY LESS GO. PUSH START. POWER FOLDING MIRRORS. POWER REAR TRUNK. FREE 3 MONTH SUBSCRIPTION OF SIRIUS XM RADIO. ASK ABOUT OUR FREE WARRANTY & 2 YEAR MAINTENANCE PLAN INCLUDED!! VALUED AT $1500. ASK A SALES ASSOCIATE FOR DETAILS. Message: Thought you might be interested in this 2011 Lexus LS 460.